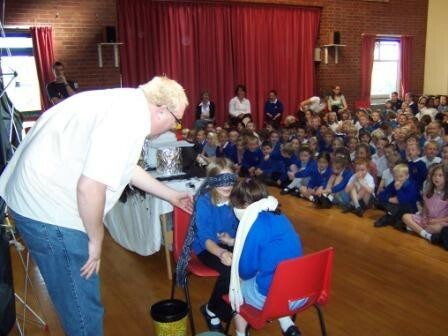 LHT has been providing Christian assemblies for over 20 years to both primary and secondary schools. Our assemblies are based on the Social and Emotional Aspects of Learning (SEAL) resource, together with a school’s core values. Lighthouse Trust offers a free service by providing assemblies in line with the Government guidelines for collective worship in schools. The assemblies are of a Christian nature, but with sensitivity to the needs of multi-cultural schools. The Lighthouse Team fit in with a school’s assembly programme – it can deliver whole school, year group, key stage or class assemblies if required, and fits in with a school’s needs delivering a service based on a secure working relationship which will benefit, staff, pupils and the community at large. The spirit of democracy is vital for Pupils to have the opportunity to have their voices heard through Student Leadership Teams, circle time, pupil questionnaires and question boxes. Pupils are taught the value and reasons behind laws, that they govern and protect us, the responsibilities that this involves and the consequences when the laws are broken. provide boundaries for young pupils to make choices for themselves. to encouraged to know, understand and exercise their rights and personal freedoms and advised how to exercise these safely. Pupils are given the freedom to make choices for themselves. A school’s ethos and Behaviour Policy revolve around its core values, including Compassion, Responsibility, Respect, faith and Fairness etc. Pupils are involved in classroom discussions and assemblies are related to what this means and how it is shown. Assemblies enhance a pupils’ understanding of their place in a culturally diverse society and by giving them opportunities to experience such diversity and Assemblies, RE and PSHE all contribute to discussions involving prejudices.